Recently I reviewed an ARC of Beneath An Irish Sky and I was genuinely surprised by how much I enjoyed this gentle romance. Whilst I’m still not a full-on romantic, I could be converted yet! Today is publication day so I am posting a Q & A with the co-authors Val Olteanu and Liv Thomas. I was particularly interested in gaining a clearer insight into how writing partnerships work, surely there must be some fall-outs en route!! enjoy reading it as much as we enjoyed writing it. How did you two meet and what made you decide to write a novel together? Val: Tolkien brought us together! Liv and I were both members of a ‘Lord of the Rings’ fan forum. It’s unbelievable but – eight years on – we’ve still never met in person because I’m in Canada and Liv is in England. Liv: I asked Val if she wanted to write a novel with me. It’s still a bit of a mystery why I chose her because I barely knew her. Sixth sense, perhaps? I’d had an idea for a book kicking around for some time and had started getting some of it down on paper, but I was quite an impatient writer and found it hard to concentrate on detail. I preferred broad brush strokes; in Val, I found someone who could paint in the details. You write as a partnership. How does this work? Val: Because we’re both in different countries, everything is done via emails and phone calls. When we start a new novel, we brainstorm ideas together and then create chapter outlines. It’s essential as co-authors for us to know exactly which part of the novel the other person is writing, or there could be duplication. Liv: When I finish writing a scene, I send it to Val for comments, and she does the same with her own scenes. We then critique each other’s work. All of it: ideas, style, grammar, punctuation. We give detailed, honest feedback. We don’t sugarcoat things or worry about bruising egos, and I think our work is stronger because of that. Do you each have particular strengths and weaknesses in terms of writing? Val: I think Liv and I started the novel believing we each had particular strengths and should write to those. However, as the novel progressed, we both tried out different types of scenes and our confidence in our abilities grew. So working together has been like an extended writing workshop. What are the advantages of writing with a partner? Val: For me, it’s having my co-writer’s input, feedback, and support. Liv and I also complement each other, so there’s a tremendous synergy in our writing partnership. Liv: Working with a co-author, you get to be a reader as well as a writer. Val: The eight-hour time difference between us. I’m on the west coast of Canada, and Liv is in the UK. When I’m going to bed, she’s waking up. What that means in practical terms is that sometimes I’m having a phone conversation with Liv and I’m exhausted – and vice versa. Liv: I’m sure it takes longer to write a novel with a partner. We also have to make sure we consistently use a unified voice and tone. It was quite a challenge for us in the early stages to find our combined voice. When we first submitted our partial manuscript to the RNA New Writers’ Scheme, the reader said our book was ‘seamless’ – that she couldn’t tell two writers had been involved in its creation. We were delighted with that. How do you resolve any disputes? Val: We do have disputes. It’s inevitable if you’re co-writing a novel. The disputes don’t arise out of our egos, though – they happen because we’re both personally vested in the novel. If we have a disagreement about a major plot point, we know it has to be resolved sooner rather than later. We might talk to each other by phone since it’s quicker than e-mail. Liv: If the problem is a minor detail of style, we might leave it and come back to it later with a fresh eye. Sometimes with time and distance, and because of things we’ve written later in the novel, the dispute resolves itself. We both had to compromise with parts of Beneath an Irish Sky. Not with major plot points, and not with key character development, but we’ve both sacrificed some lines and scenes that were near and dear to our hearts. Do you plan to continue writing together? Liv: We’ve almost finished our second novel together, and are planning more. Val: It would seem strange now to write without Liv! The week began with sunshine, a funeral and a blown exhaust. It ended with a visit to A & E with my daughter, queried meningitis which thankfully turned out to be an infection accompanied with photophobia. In the midst of all this, Bry and I managed to squeeze in a visit to the Belfast Book Festival to hear John Boyne speak about his latest novel, This House is Haunted, as well as revisiting previous work and hinting at future projects. I must confess this was my first author signing, apart from going to see Robert Muchamore with my son. I booked the tickets on impulse informing Bry closer to the date. His reaction was a bit along the lines of why would anyone want to go and hear some guy reading from a book…the philistine! The setting was intimate with cabaret style seating, complete with little round tables, candles and low lighting. I almost expected the reading to be accompanied by subdued piano playing although one of those old cinema organs would have been more apt, given the Gothic tone of This House is Haunted. After reading a section from the novel, John was interviewed by Hugh Odling Smee with some questions from the audience at the end followed by book signing. No, I didn’t take notes….although I did notice one lady scribbling away but she must have been able to see in the dark. Anyway, from my middle aged brain, I can pluck the following key points. John does research for his books by reading copious amounts of fiction from the chosen period in order to attain the right voices for his characters. Dickens is one of his favourite authors so how better to start the novel than with, “I blame Charles Dickens for the death of my father”. He has experienced the presence of not one but a pubful of ghosts whilst stone cold sober. He has a particular fondness for John Irving as a writer. He always wanted to write a ghost story and he always knew it would be called This House is Haunted…spooky..
Stay Where You Are And Then Leave, the title of his next children’s novel (to be published this Autumn), came from when he spent time in Christchurch, New Zealand and noticed these somewhat paradoxical instructions in a What to Do In Case of Earthquake leaflet. As a child he was obsessed with books about orphans who usually had a dreadful time at boarding schools. He hastened to add that his childhood was quite normal and his parents paid little heed to his frequent requests to be sent to boarding school. His next adult novel will be set in Ireland. One might be forgiven for thinking that he was hellbent on writing books set anywhere other than Ireland but he felt the time was right now. In a strange way he found it harder to get the “voice” of his characters in this Irish novel. I understand that as you are perhaps too close to the subject plus there is the added burden of the tradition of excellent Irish writing. This last point made me think of Maggie O’Farrell’s recent comments about the Michael Flatley effect of Irish Writers. I don’t think this has stopped John Boyne from writing a novel set in Ireland, more that each project has to happen at the right time and place for him….an eminently sensible plan. I decided to take the opportunity to buy a copy of This House is Haunted and get it signed, simultaneously kicking myself from not bringing along a wheelbarrow load of books including Barnaby Brockett, Striped Pyjamas, Crippen, The House of Special Purpose etc etc. Not knowing the etiquette for book signings, perhaps that wouldn’t have been such a good idea. So, an eventful week and new resolutions to attend more book events. I might even have converted Bry…ever the optimist! “Waiting On” Wednesday is a weekly event, hosted by Jill at http://breakingthespine.blogspot.com/, highlighting upcoming releases that we’re eagerly anticipating. London, 1850. Fog in the air and filth in the streets, from the rat-infested graveyard of Tom-All-Alone’s to the elegant chambers in Lincoln’s Inn Fields, where the formidable lawyer Edward Tulkinghorn has powerful clients to protect, and a deadly secret to hide. Only that secret is now under threat from a shadowy and unseen adversary – an adversary who must be tracked down at all costs, before it’s too late. Who better for such a task than young Charles Maddox? Unfairly dismissed from the police force, Charles is struggling to establish himself as a private detective. Only business is slow and his one case a dead end, so when Tulkinghorn offers a handsome price for an apparently simple job Charles is unable to resist. But as he soon discovers, nothing here is what it seems. An assignment that starts with anonymous letters leads soon to a brutal murder, as the investigation lures Charles ever deeper into the terrible darkness Tulkinghorn will stop at nothing to conceal. 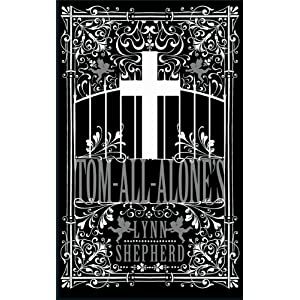 Inspired by Charles Dickens’ masterpiece Bleak House, Tom-All-Alone’s is a new and gripping Victorian murder mystery which immerses the reader in a grim London underworld that Dickens could only hint at – a world in which girls as young as ten work the night as prostitutes, unwanted babies are ruthlessly disposed of, and those who threaten the rank and reputations of great men are eliminated at once, and without remorse. Lynn Shepherd lives near Oxford, with her husband. She studied English at Oxford in the 1980s, and went back to do a doctorate in 2003. In between she spent 15 years in business, first in the City, and later in PR and has been a professional copywriter for the last ten years. She published her first novel Murder at Mansfield Park in 2010. Find out more on www.lynn-shepherd.com. “Waiting On” Wednesday is a weekly event, hosted by Jill at http://breakingthespine.blogspot.com/, that spotlights upcoming releases that we’re eagerly anticipating. 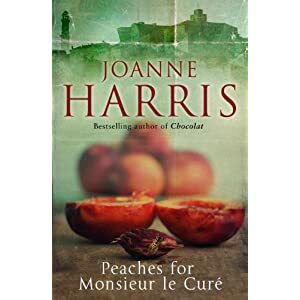 This week I happened upon a new article by Joanne Harris here about her much anticipated forthcoming novel Peaches for Monsieur Le Cure. Cue squees of delight all round! I have devoured and relished almost all of Joanne’s previous novels and I cannot wait for this, the follow up to The Lollipop Shoes (US title was The Girl With No Shadow). 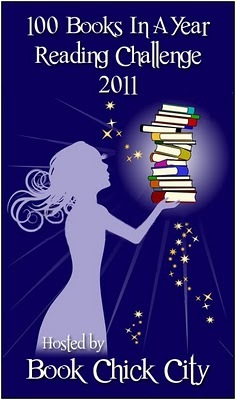 Publisher: Doubleday (24 May 2012) UK – later in the US – sorry! It isn’t often you receive a letter from the dead. When Vianne Rocher receives a letter from beyond the grave, she has no choice but to follow the wind that blows her back to Lansquenet, the village in which eight years ago, she opened up a chocolate shop. But returning to her old home, Vianne is completely unprepared for what she is to find there. Women veiled in black, the scent of spices and peppermint tea – and there, on the bank of the river Tannes, facing the church, a minaret. 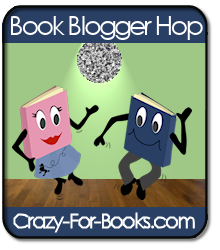 I haven’t been at this book blogging lark for very long, not even a year yet, but it struck me today that we must all have different ways of collecting our thoughts of a book and of organising our reviews. This thought came to me as I recalled the fact that I had neglected to review a book I’d read in the past month and now, I’d be pushed to remember what happened in the book or even any of the main characters’ names! Now, some of you might say that it couldn’t have been a very good book but I did enjoy it at the time. So, either I am still suffering from post-natal brain 7 years on or I should have made notes whilst reading or perhaps it was just one of those books which entertained me at the time but has since vanished into the ether of my brain to be replaced by more pressing concerns like “Is it PE day today and for whom?”, “Do we need more bananas?” and, even, “What day is it today?”. 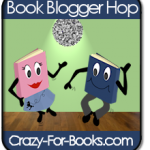 So, how do you review books which you have read? Do you leave them a while to cogitate, digest and mull over the themes? Do you move straight onto the next book? Do you make notes, copious or otherwise? Do you, like me, intend to note down sections which made you gasp but haven’t the heart to turn down the corner of the page or have a handy supply of post its lurking nearby? Do you review absolutely every book you read? Do you spend a lot of time on your reviews? (I do as I want to get my message across clearly but I do tend to ramble on…as if you haven’t noticed!) Would you consider reviewing a book which you did not finish? That’s a definite no-no for me, silence about a book which I have read/failed to read is very telling. So many questions and I hope some of you out there in the blogosphere will share your reviewing methods with me. I have a sneaking feeling that my somewhat disorganised approach to reading and life in general might not be the norm amongst book bloggers. However I do find it interesting to hear more about how others approach the reviewing process. Thanking you in advance – (now, don’t go shaming me by not commenting!! For me, there are three books which are firmly on my bookish radar this year. The Thirteen Secrets by Michelle Harrison – the final instalment in a children’s/YA trilogy filled with faeries but not the saccharine sort! Right that’s it…no more..this could get addictive! As well as the 100 Books in One Year, I have decided to participate in the TBR challenge which basically involves my reading at least 12 books which have languished on my TBR for at least 6 months or more – plenty to choose from! I am no longer a book challenge virgin well I think I’m not…technology and I do not always see eye to eye so fingers crossed I have signed up to the challenge correctly and not signed up for some weird wonderful cult instead…. In order to keep myself focussed reading wise this year I have decided to go for a straightforward, general challenge as hosted by Book Chick City here http://www.bookchickcity.com/2010/12/sign-up-100-books-in-year-reading.html. I intend to read 100+ books this year, my record keeping has been rather harum scarum this year and hopefully this challenge will help me through periods of readers block etc. I don’t like to be too limited in what genres I read and very rarely schedule reads, going where the reading muse takes me so I think this is an achievable goal. PS I’ve just realised I haven’t done the right link and haven’t properly joined up so bear with me BCC!!! I loved her Little House series of books and particularly enjoyed The Long Winter (apt??) and On the Banks of Plum Creek. They count among the few books I was able to salvage from my parents’ house after they died and my brother moved in and decluttered! Well, knock me down with a feather, but I think I preferred the innocence of reading these books as a child without delving for the subtext or getting on my PC high horse. I will hold my hands up and confess to reading all of the Narnia series without being aware of the “overtly” Christian themes despite what a recent reviewer wrote “Anyone familiar with Christian beliefs cannot help but notice the symbolism in the Chronicles of Narnia”…… obviously the nuns were not as influential as I thought! And don’t start me on Enid Blyton whose books delighted me as a child and how traumatised when my sister returned from one term at teacher training college to announce to my parents that I was not to have any more EB books as the lecturers thought they weren’t literary enough – cue me bawling my eyes out! This was long before the whole racist/sexist attack on EB.